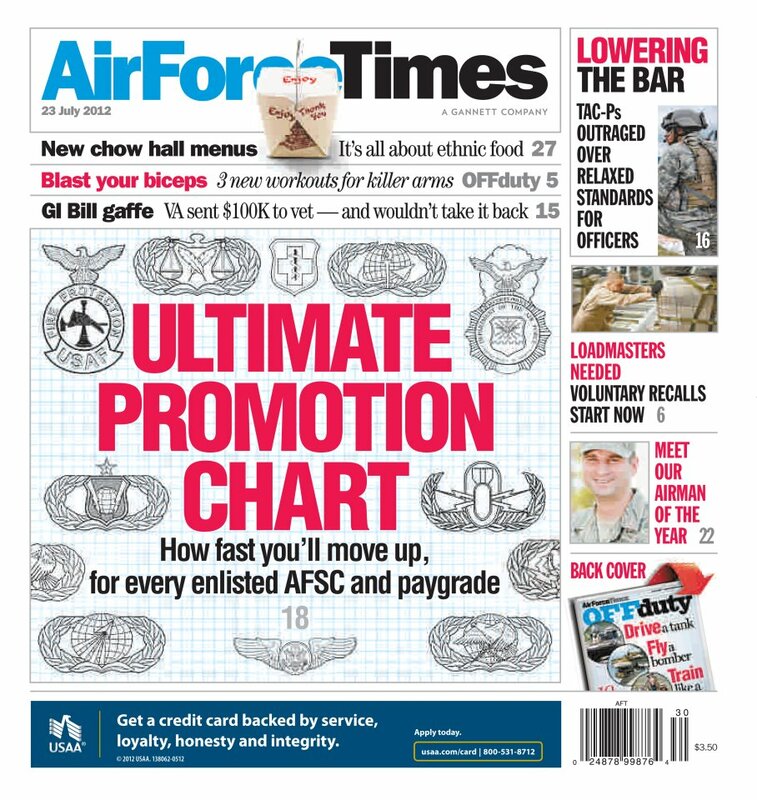 Air Force Times has waded through a mountain of data to come up with an easy-to-read chart that tells you how fast enlisted airmen in each Air Force Specialty Code get promoted. Now you can see which AFSCs offer a fast track to promotion and which ones take years before you can add a stripe. In other news, a memo that calls for relaxing the physical training standards for officers who train with tactical air control party airmen has caused a major dustup. Enlisted airmen believe the change would lower standards for officers and is meant to let women to train to become air liaison officers. And read all about the 2012 Airman if the Year and two honorable mentions. Each represent the Air Force’s core values, including putting service before self.